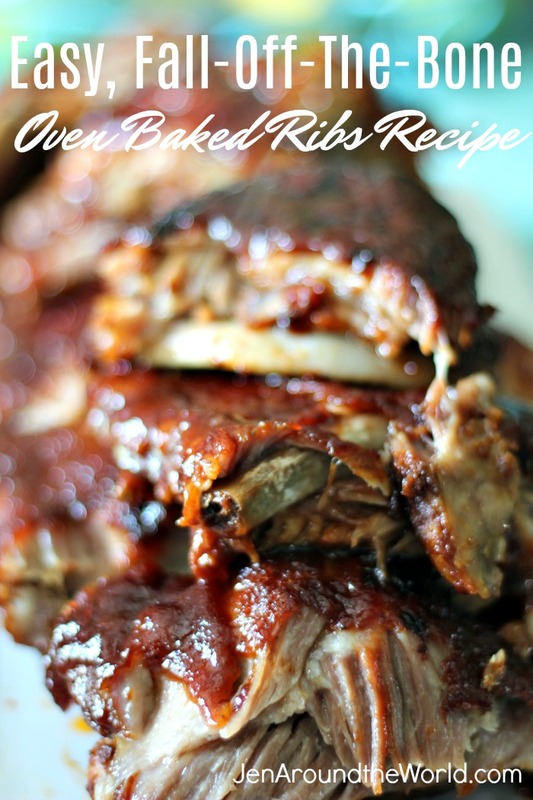 These Easy, Fall off the bone oven baked bbq ribs will leave your pocketbook happy and your tummy full! Doesn’t this picture just look fabulous? I used to be horrible at fixing ribs, but I kept trying until I finally got it! Robert’s favorite food in the WHOLE world is ribs! They can be pretty expensive, but I buy mine at Aldi. I got two racks recently — pretty big racks for that matter, and only paid $7 per rack. 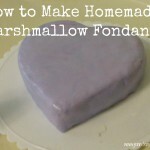 Not only will your meal be delicious, but you are being frugal as well. 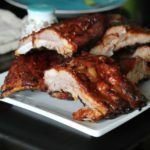 Making these ribs are as simple as rubbing them down with a dry rub, wrapping them in foil and then letting them slow baste in the oven for about 3 hours. Start by removing your ribs from the package. On the back side of your ribs, there is a thin membrane that you need to remove. 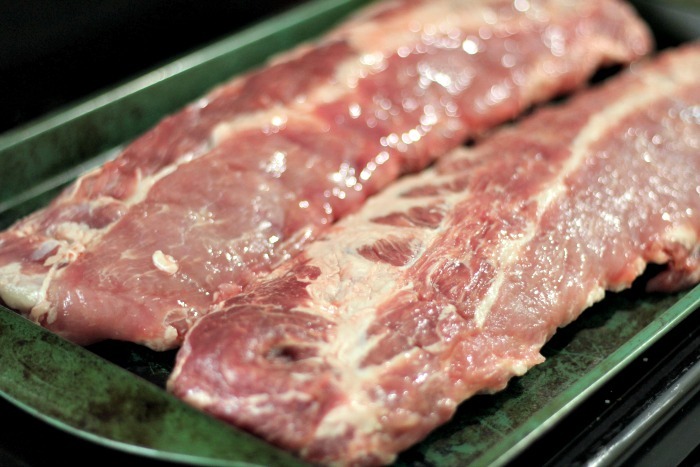 Then, rinse your ribs under the water, pat them dry and then let them come to room temperature. Once they come to room temperature, rub them down with dry rub. 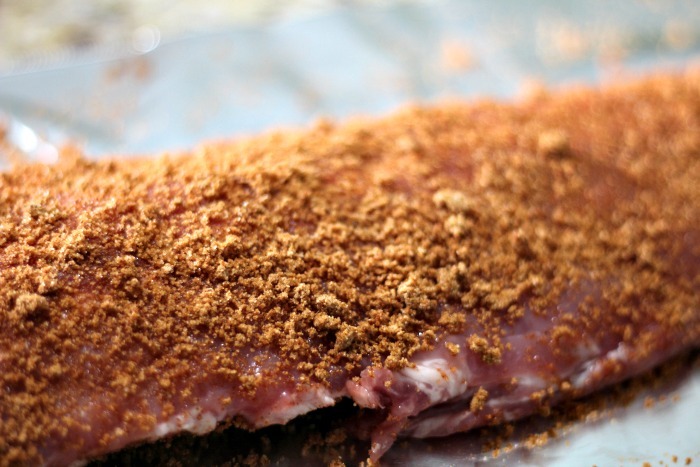 My favorite is my Neely’s dry rub recipe that you can find by clicking here. I rub them down generously with dry rub, and then I wrap them tightly in aluminum foil. You can do this the night before and leave them in the fridge until you are ready to cook them. 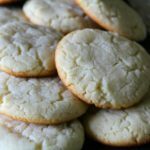 Preheat your oven to 300 degrees and bake for 2-3 hours. By this point they will already be fall off the bone. 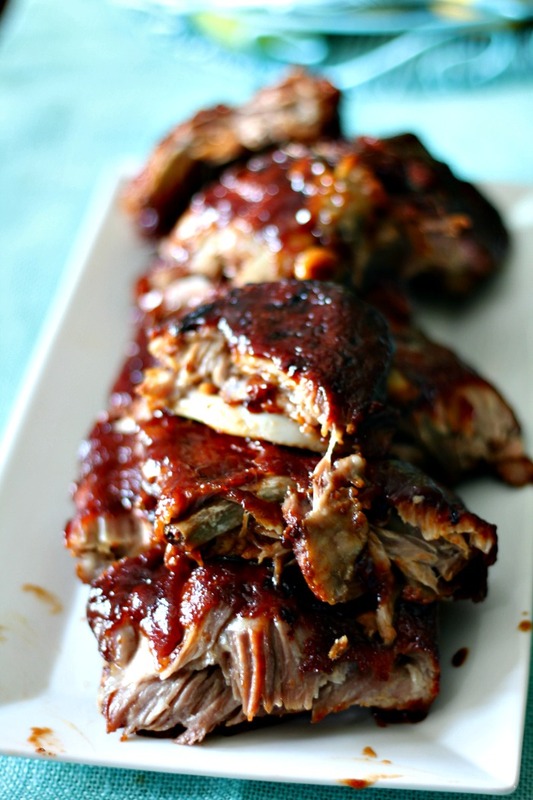 Then remove the aluminum foil and slather with your favorite bbq sauce. I like to caramelize mine a bit, so I turn on the broiler and put them underneath the broiler for about 5 minutes. Then I remove and baste again with bbq sauce before serving. 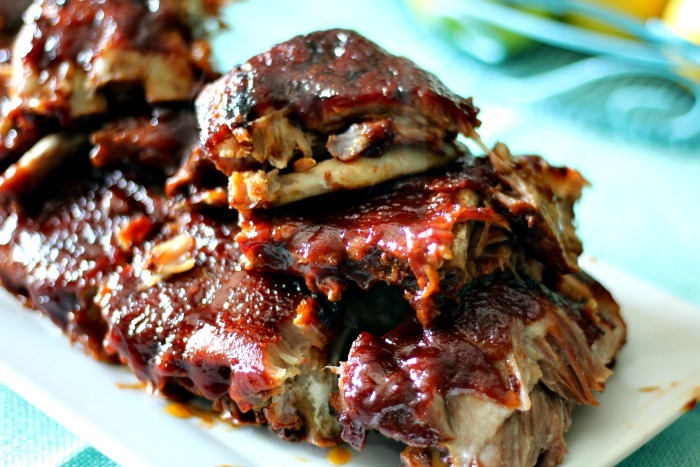 Here is this simple recipe for making THE best ribs in the world! 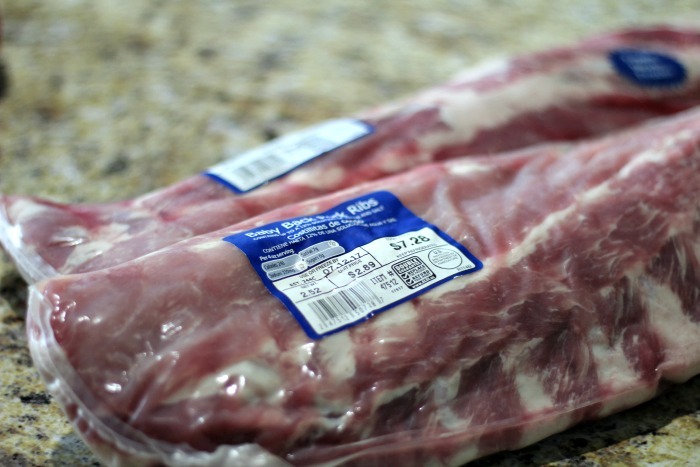 Remove ribs from wrapping and wash them off. Remove skin from back side and pat dry. 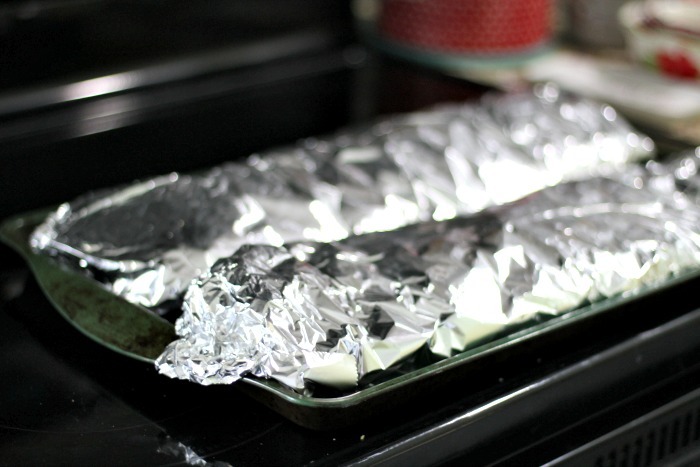 Rub down with favorite dry rub (you can skip this step if you do not want to use dry rub) and wrap in aluminum foil. 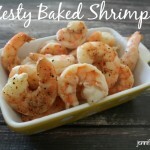 Serve with your favorite homemade coleslaw. Those look delicious. 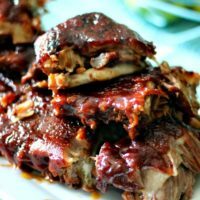 I have never made ribs, but have enjoyed eating them at rib festivals, and restaurants. Happy New Year!